or email us at info@mainecoastalflight.com to schedule your flight. 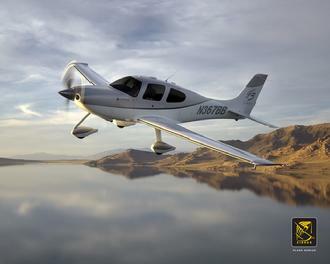 Flights are flown in three passenger Cirrus SR20 and SR22 aircraft by our commercially rated professional pilots. Brunswick-Bath - This flight is a great introduction to Mid-Coast Maine from above. After taking off from the Brunswick Executive Airport, you will view the inlets and bays of the area, as well as Brunswick, Bath, and Harpswell, along with the Shipyard and more. This flight is approximately 15 minuets. Price $65 per person. Kennebec River Tour - Enjoy views of ocean cliffs, beaches, scenic coastal villages, protected harbors, and lighthouses along the Kennebec River. After passing Bath/Brunswick, your flight will meander down the Kennebec River seeing the lighthouses and Fort Popham, then towards Boothbay Harbor and back viewing up to ten lighthouses on this flight. This is a fantastic view of the whole area. Flight time is approximately 25 minutes. Price $89 per person. Custom Tours - We can customize your Scenic or Aerial Photo flights most any way you like. Call our Tour Specialist to help plan your flight. We can also arrange for a professional photographer for your aerial photos. A photo of your property makes a great gift! Scenic Flights operate within a twenty-five mile radius of the Brunswick Executive Airport. "The Best way to see Maine"
Our Cirrus SR-20 and SR22 seat up to three passengers. Weight restrictions may apply.